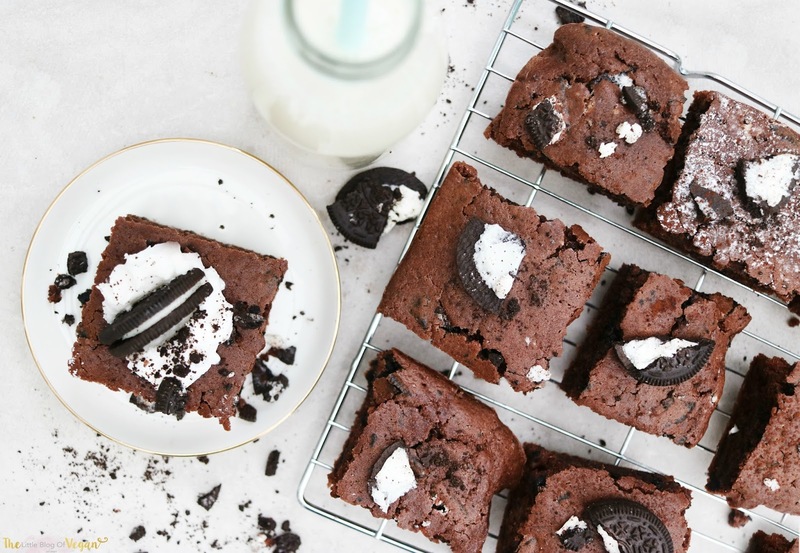 So here we go folks, vegan Oreo brownies. 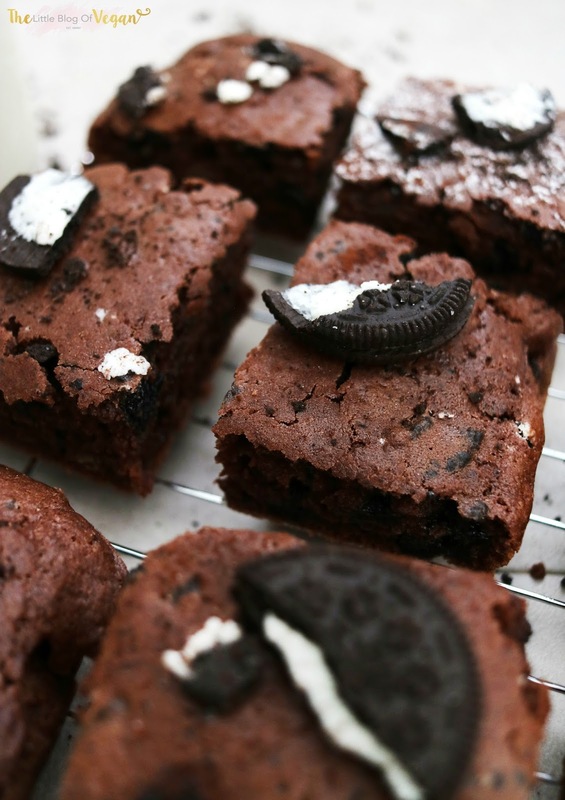 I've had the idea to incorporate Oreos into brownies for such a long time and today is the day, finally! Brownies are super quick and simple to make and this recipe is one of the best! 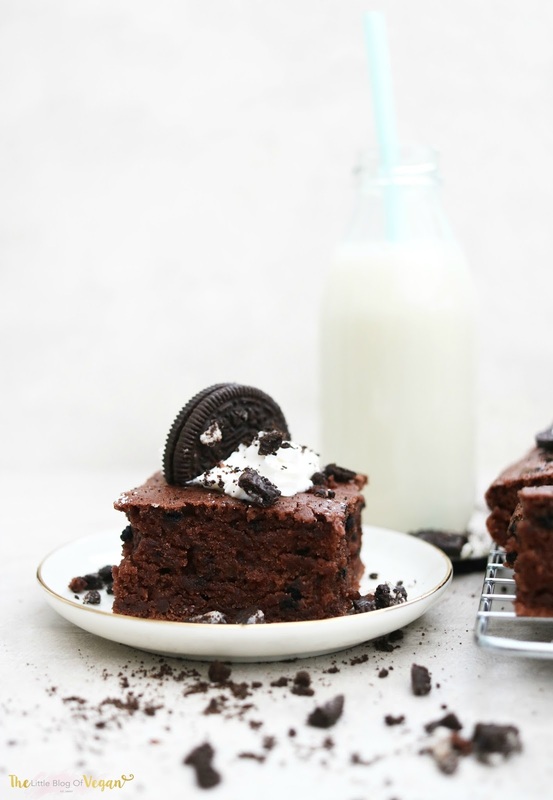 It captures the d taste of Oreos whilst being rich in chocolate, moist and very moorish. Perfect for any occasion, and are sure to go down a storm. Step 1- Pre-heat your oven to 180 degrees and line a square baking tin with grease proof paper. Step 2- Melt the chocolate until silky smooth and set aside. 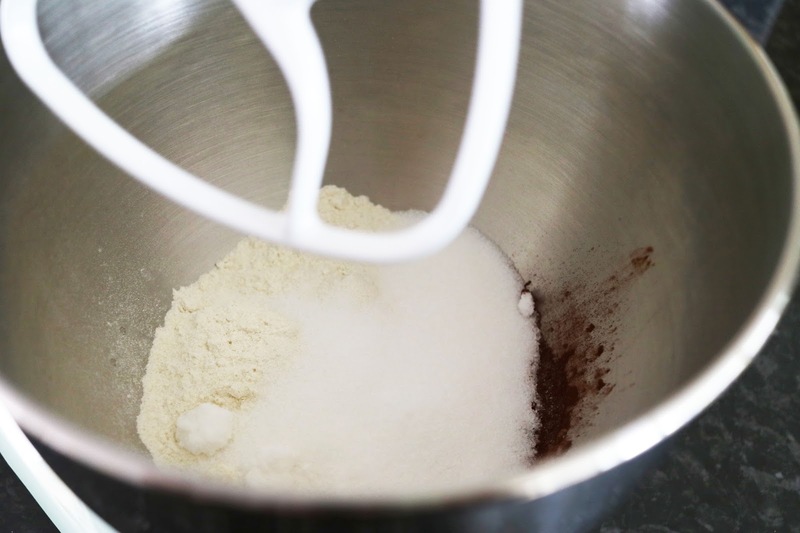 Step 3- Combine the cocoa powder, flour, sugar and salt in a large mixing bowl. Step 4- Pour in the vanilla extract, oil and milk and mix. Step 5- Fold in the crushed oreo cookies and melted chocolate. Step 6- Pour the mix into the lined baking tin and pop into the oven and bake for 20-25 minutes. Serve warm with vegan cream, ice-cream...the choice is yours! These tasted amazing! Such an easy recipe to follow for a beginner like me!